Hidden in the heart of the rolling Buckinghamshire countryside, nestled among uninterrupted views and the sounds of British wildlife, you’ll find Wingbury Farm. 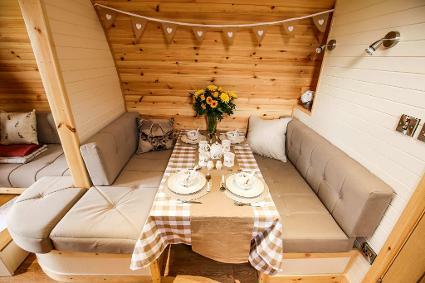 The well-insulated pods sleep four and are equipped with a seated dining area, which converts into a comfortable double bed. The sofas in the seating area convert into two further single beds. 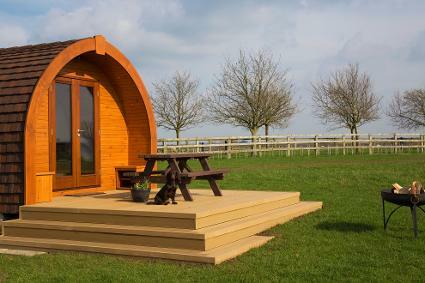 As well as your well-equipped en-suite bathroom, the pods have a fully fitted kitchen with fridge freezer, electric hob and electric fan oven. All guests receive a welcome pack on arrival with milk, orange juice, tea, coffee, bread & cereals.